Of course I don't mind, in fact I'm glad you did it. I support anything that wins new fans for Hayley, after all that is one of the reasons I made the videos in the first place. Along with sharing her wonderful performances with other existing fans who weren't there, and recording genuinely brilliant performances for posterity. I only wish I could achieve better sound quality. Just a word to say that I've added Hayley's latest (2013) official biography (from her official website) to the HWI website. I've retained the previous version (2008 IIRC) on the same page, and there is an archive link at the top to even older bios, going right back to the very first, in 2001. For those who are interested. Oh, I forgot we had this thread! Anyway, we can today celebrate our 10 millionth view on our Youtube channel! 10,021,190 views and 7,618 subscribers ! Here's one of my favourites, to celebrate! Hi everyone, we have today on our Youtube channel a new video - from 2009 and previously unreleased, courtesy of our illustrious Tourist and edited by me. It had to be heavily zoomed-in, hence the video quality reduction in what was originally an HD recording, but the audio is fine. 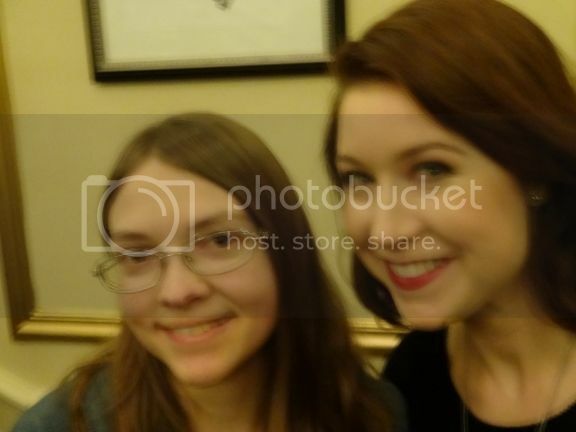 "Hayley Westenra in Concert - O Holy Night (2009)"
It's a little Christmas gem! That's definitely Hayley's voice. I'm pretty sure I haven't heard this before. I wonder if it's new or old? EDIT: I just googled, and it came up as from the Nativity! cast. It's from 2009. Thanks Paige, it was only posted on YouTube a few days ago..
oh dopey me, we have a thread on it on HWI. It is one of two Hayley songs from the 2009 film Nativity, the other being Silent Night. I believe that Gordon and Grant went to see this film in Norwich after the Winter Magic tour concert there was cancelled last minute due to illness. Yes, that's definitely a new one on me too. Good to hear new stuff from Hayley (even if it isn't really). Here's to more new stuff - I have to keep hoping. In these days leading up to Christmas, I have been posting daily Christmas videos of Hayley on our HWI channel! What a joy for me to watch these videos...and to share them with you. I'ts nice when these videos pop up again unexpectedly, how quickly time has passed since Christmas 2014 or 2009. Best wishes for Christmas to all of you. Here is another Christmas present for you all, courtesy of our illustrious Tourist, edited (with some difficulty I have to say!) and uploaded by me. Our Tourist suspects that this may be the only video of Hayley performing this song - hymn - on Youtube. I am sure someone will tell us if not. I can confirm that it is. I searched youtube last night for one, and there was absolutely none. So thank you for uploading this one, and for our beloved tourist for capturing it for us. Thanks Libby, that's good to know. I have just realised, in my Christmas Eve haste I forgot to include the name and year of the video in the text of my post, so it cannot I think be searched for. It is Veni Veni Emmanuel recorded in December 2009 in concert and already has over 900 views. Thanks very much Dave and our Illustrious Tourist! What a wonderful joy to watch!